Includes Jacket, Waistcoat and Trouser. Please select your size measurements from below. If you require any help, please do not hesitate to contact us. This item is made to order. Delivery is 28 working days weeks from receipt of measurements and payment. Express 10 working day order process is avaiilable, see options below. All materials sourced in the UK, Mess Dress manufactured in the Kashket & Partners factory. 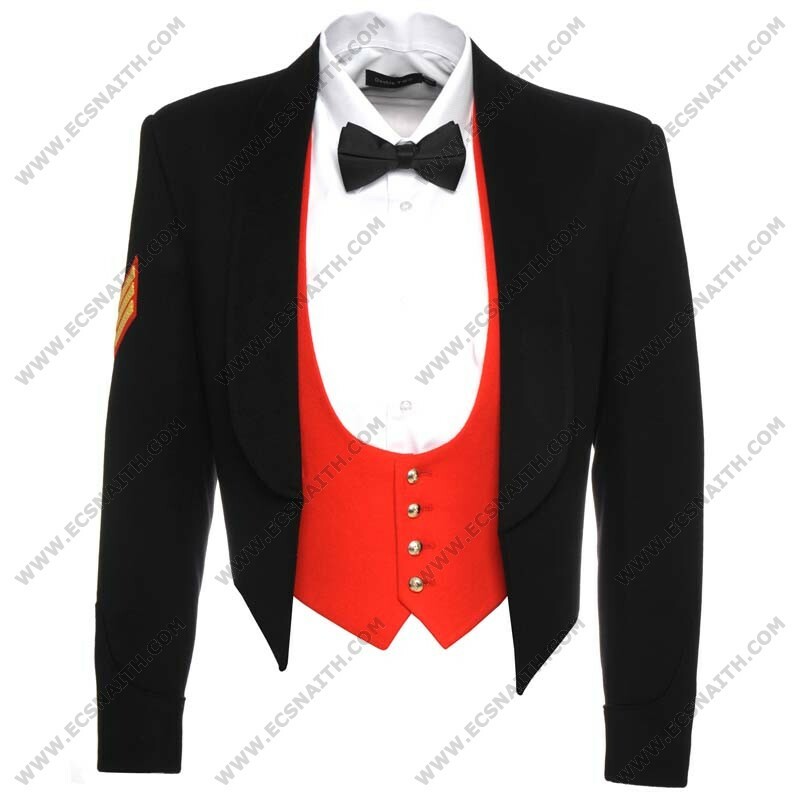 Mess Dress uniform will be managed and despatched from Kashket & Partners, other items may be despatched separately at no extra charge. Please note that if a fitting is required at one of our listed locations, this can be arranged at an additional cost. Please call 0208 365 9350 for further information. Whilst we make every effort to make sure your uniform fits correctly. We cannot take responsibility for measurements not taken by ourselves. If you are in any doubt, please contact us. -- Please Select --15" 15.5" 16" 16.5" 17" 17.5" 18" 18.5" 19" 19.5" 20" 20.5" 21" 21.5" 22" 22.5" 23 23.5" 24"
-- Please Select --14" 14.5" 15" 15.5" 16" 16.5" 17" 17.5" 18" 18.5" 19" 19.5" 20" 20.5" 21" 21.5" 22"
-- Please Select --36" 37" 38" 39" 40" 41" 42" 43" 44" 45" 46" 47" 48" 49" 50" 51" 52" 53" 54"
-- Please Select --28" 29" 30" 31" 32" 33" 34" 35" 36" 37" 38" 39" 40" 41" 42" 43" 44" 45" 46" 47" 48" 49" 50" 51" 52" 53" 54"
-- Please Select --34" 35" 36" 37" 38" 39" 40" 41" 42" 43" 44" 45" 46" 47" 48" 49" 50" 51" 52" 53" 54"
-- Please Select --18" 19" 20" 21" 22" 23" 24" 25" 26" 27" 28" 29" 30" 31" 32" 33"
-- Please Select --15" 15.5" 16" 16.5" 17" 17.5" 18" 18.5" 19" 19.5" 20" 20.5" 21" 21.5" 22" 22.5" 23" 23.5" 24" 24.5" 25"
-- Please Select --22" 22.5" 23" 23.5" 24" 24.5" 25" 25.5" 26" 26.5" 27" 27.5" 28"
-- Please Select --24.5" 25" 25.5" 26" 26.5" 27" 27.5" 28" 28.5" 29" 29.5" 30" 30.5" 31" 31.5" 32" 32.5" 33" 33.5" 34" 34.5" 35" 35.5" 36" 36.5" 37" 37.5" 38"
Medals - How many medals will you have on your mess dress? Includes Jacket, Waistcoat and Trouser. Includes Rank and buttons.